Residents are free to partake in a varied arrangement of activities, these include activities arranged by our Recreational Therapists and are tailored to suit everyones capabilities. Providing activities and events to help stimulate and engage residents. Our constant quest to stimuate and get our residents engaged in social events only comes second to our level of care. From Monday to Friday our staff are constantly designing and thinking up new ways in which to motivate and actively stimulate our residents. 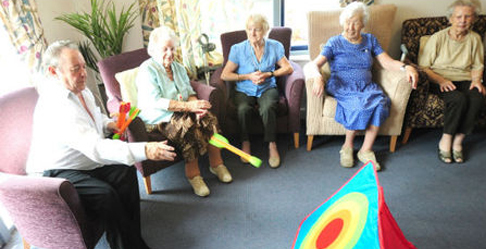 Whether it be a painting afternoon, a trip out somewhere or a general sing song, their is always something to keep our residents entertained at all our care homes.